Published on July 11, 2016 by Martyn. Be the first to comment! 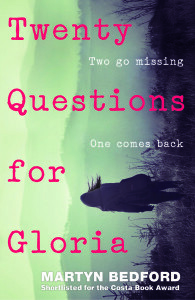 I’m delighted to announce that Twenty Questions for Gloria has been shortlisted for the 2017 Coventry Inspiration Book Awards. It’s the second time I’ve been in contention for this award – one of the bigger regional children’s and YA prizes – following Flip‘s shortlisting in 2012.